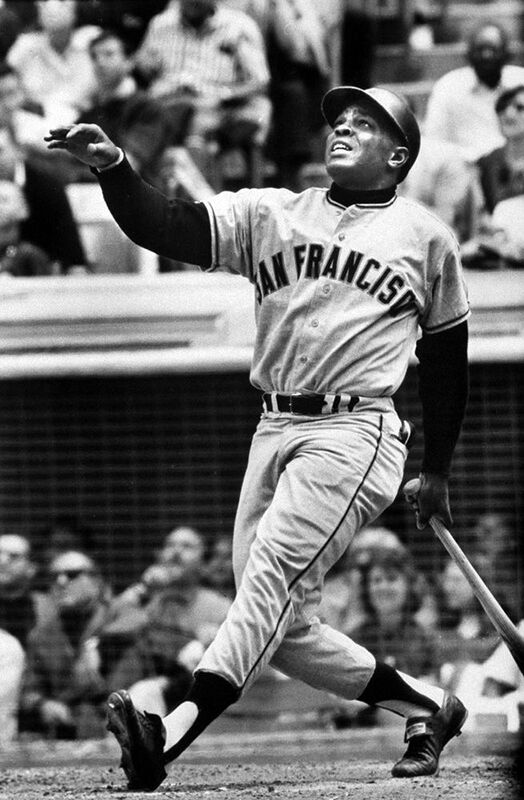 During his prolific tenure playing in center field with the New York and San Francisco Giants, Willie Mays “The Say Hey Kid” won two MVP awards (1954 and ’65) and shares the record for most All-Star Games played (24) with both Hank Aaron and Stan Musial. The great Ted Williams once said: "They invented the All-Star Game for Willie Mays." 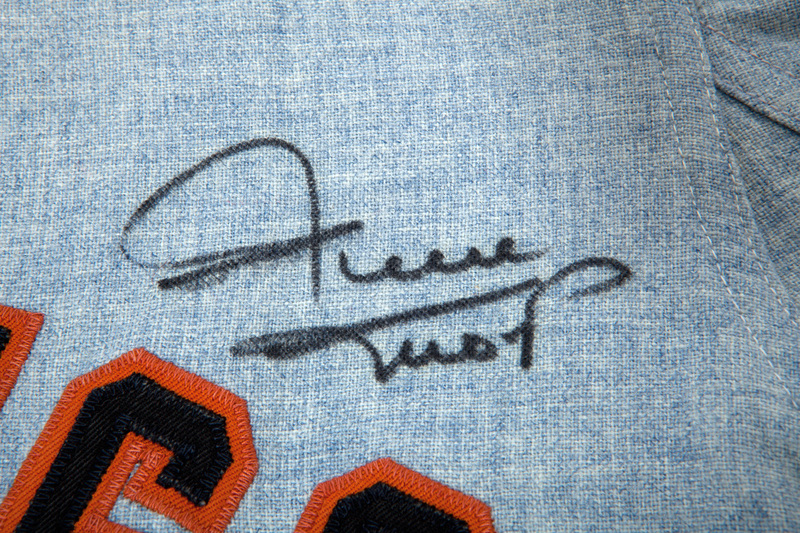 He ended his career with 660 home runs, third all-time upon his retirement, and currently fourth all-time. He ranks among the top ten all-time in virtually every significant offensive category, though his statistics can never fully express his greatness on the diamond. He was, arguably, the greatest all-around player in history, displaying a combination of speed, power and athleticism seldom seen before or since. 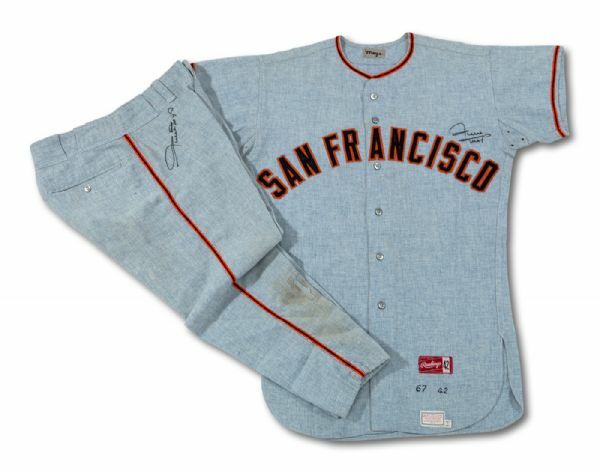 By every measure used to assess game used baseball garments, the offered San Francisco Giants road jersey and matching pants worn by Willie Mays in 1967, are superb. The Rawlings (size 42) grey flannel jersey has "SAN FRANCISCO" stitched across the chest in black on orange tackle twill. 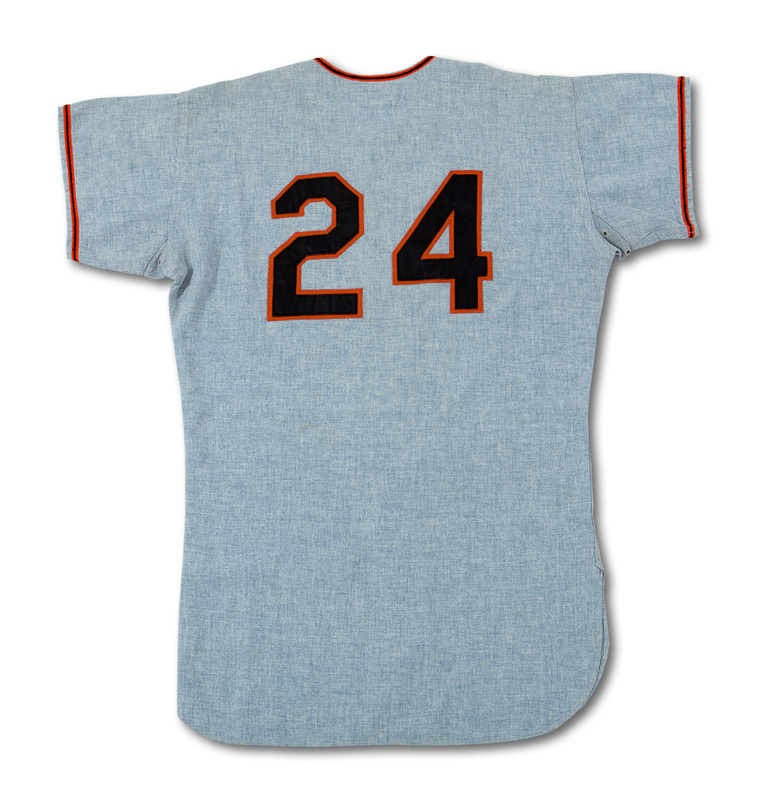 The jersey back bears Mays’ iconic number "24" in large tackle twill black on orange numerals. 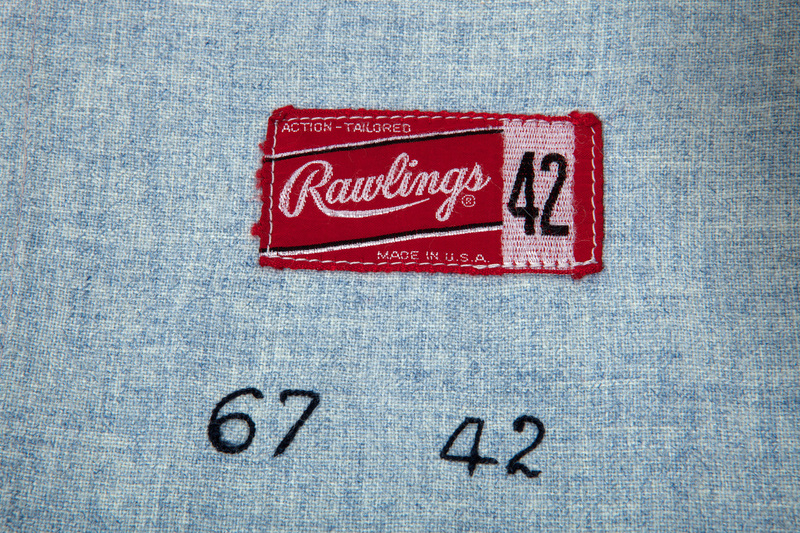 The front left tail tagging includes "Rawlings 42" and wash label with a "Set 1 1967" tag. 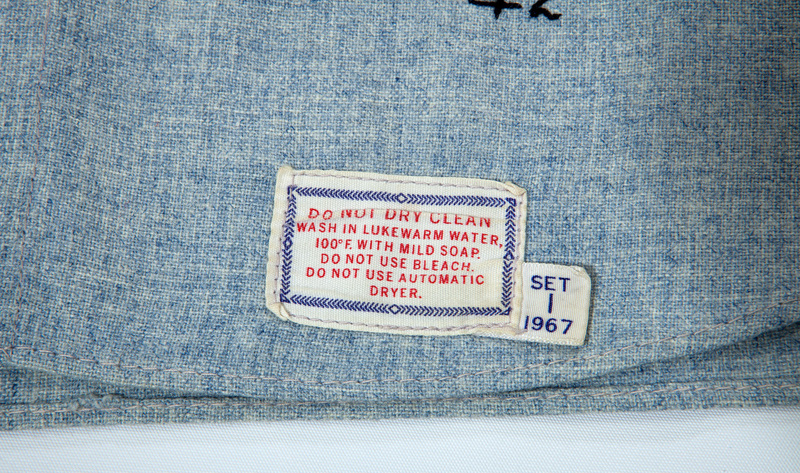 Both the season (“67”) and the jersey size (“42”) are stitched in black between the tags on the left front tail. 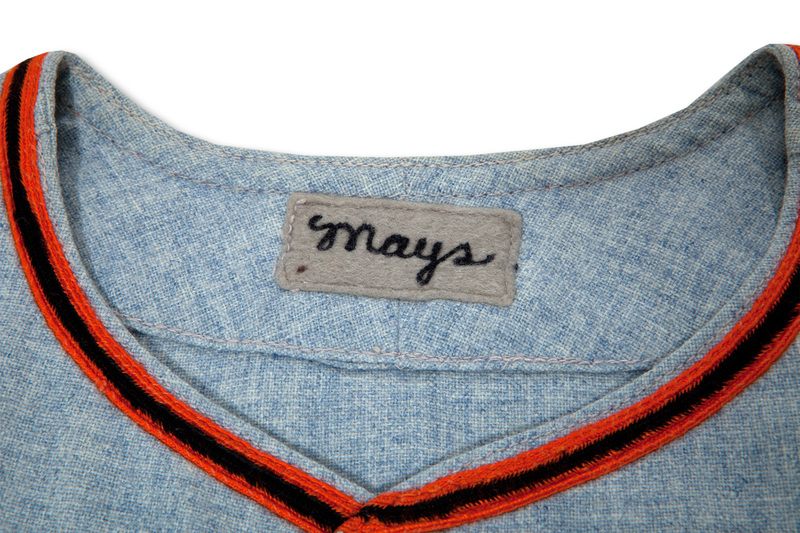 On the inside collar of the jersey "Mays" is chain stitched on a gray felt nameplate. Distinctive black and orange piping adorns the collar and sleeves. 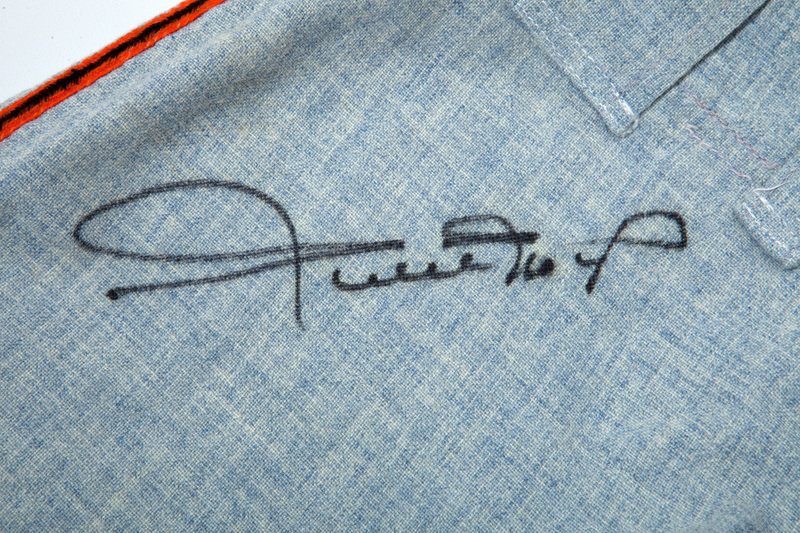 All seven original buttons are intact and Mays has signed the jersey in black felt-tip marker on the left chest. The matching gray flannel pants show considerable wear with team repairs and staining evident on the right shin area. 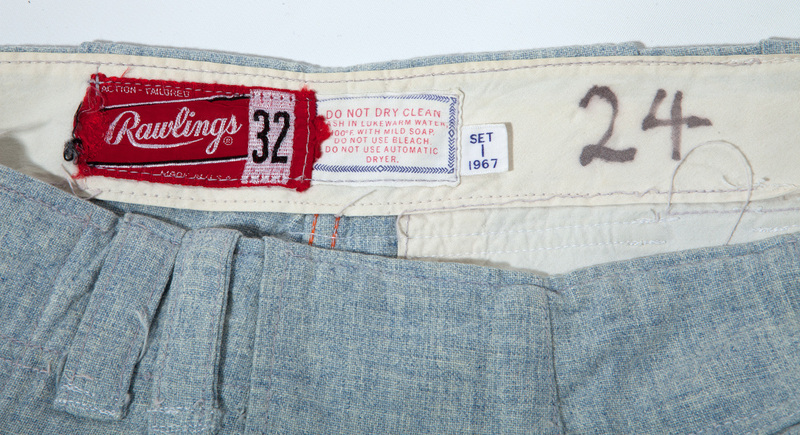 All proper tagging can be seen on the interior waistband including “Rawlings 42” and wash label with a “Set 1 1967” tag affixed. 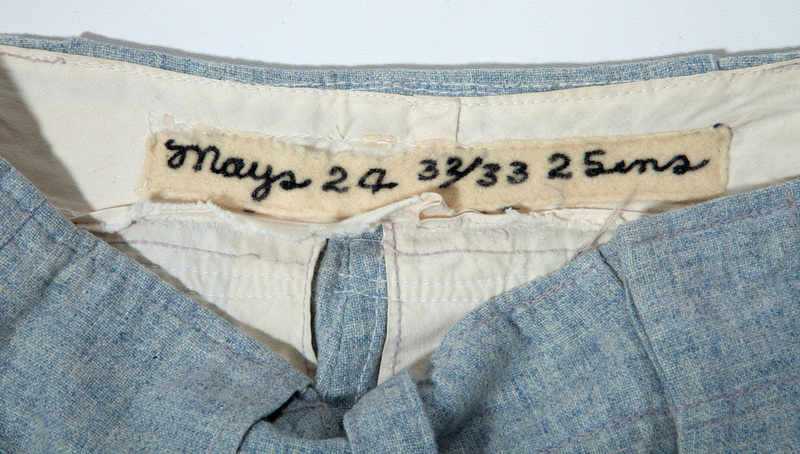 In addition, a sewn-on beige nameplate reads “Mays 24 32/33 25 ins” in chain stitch. The original stirrup in the left pant leg is still intact. 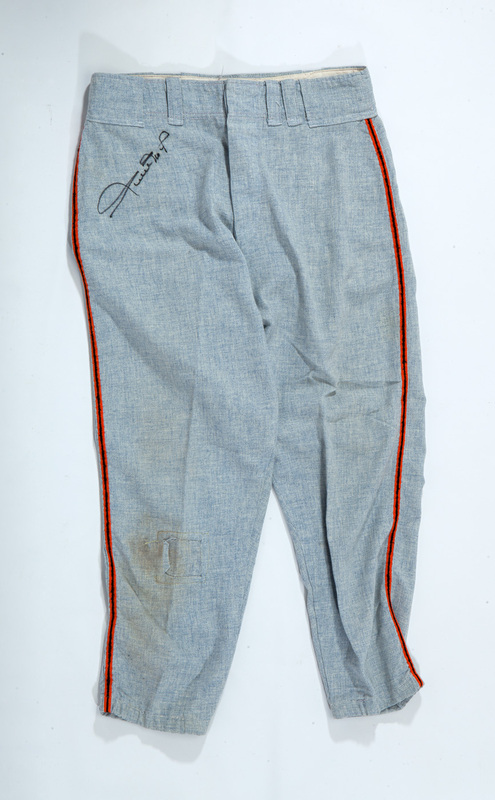 Mays has added his signature in black felt-tip marker to the upper right thigh of the pants. 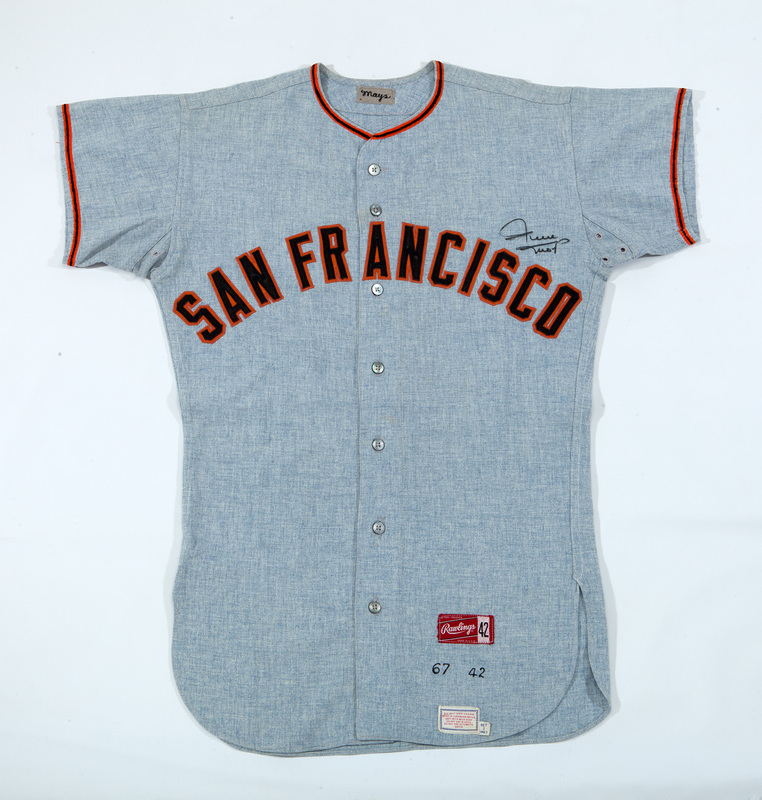 This totally original, unaltered uniform demonstrates magnificent display quality and is without question, among the finest May’s uniforms of its era the hobby has ever seen. LOA from MEARS (Graded A10). Auction closed on Sunday, December 7, 2014.